I was diagnosed with Parkinson’s at age 70. My Neurologist recommended Rock Steady Boxing and Walking as the best natural therapy to fight Parkinson’s — in addition to traditional treatment for Parkinson’s (Sinemet and Azilect). 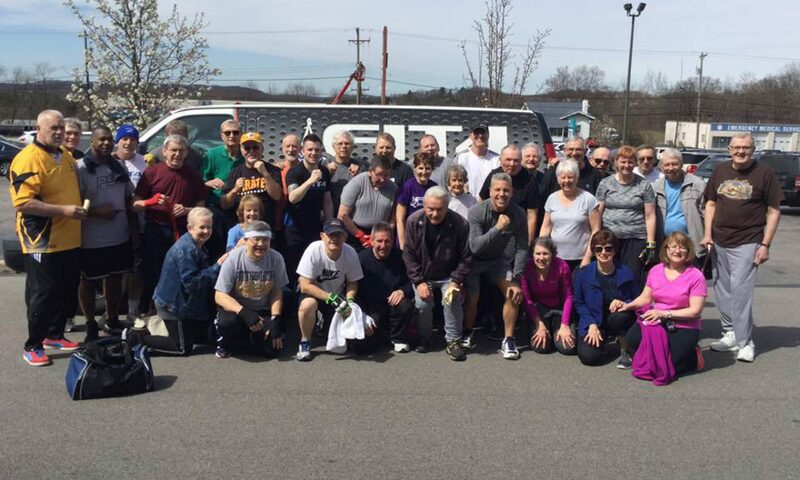 A few months after my diagnosis I started “Rock Steady Boxing Pittsburgh” classes at the Fit4Boxing Club in Hampton Township, Pennsylvania. Before you ask, no, we’re not punching each other. I still remember my first class. I was soaking wet from sweat. They start every class with stretch exercises, for your legs, feet, waist, arms, shoulders, neck, wrist, fingers, and every part of your body. Followed by running laps around the gym, sometimes replaced by rope jumping, or jumping jacks. Only after all that do you put your gloves on and start punching the bags. After the first day, I wondered whether or not I could continue at this intense pace, but I knew I had to push myself, so I signed up for an annual membership, and I’m glad I did. They teach you all the basic boxing moves; left and right jabs, left and right hooks, and left and right upper cuts. They also teach you proper foot shuffle, proper feet position, and proper waist moves to throw boxing punches effectively. While I wasn’t a boxing fan before, I’ve since gained an appreciation for the sport. This also helps you with the overall body balance in your daily activities. We might throw 10 to 20 punches of each type, repeated by a few rounds of these boxing punches. Oh, and we also yell out as loud as we can counting our punches, to practice projecting our voice. Speech impairment is a symptom of PD. I noticed my speech getting softer and softer and my wife was asking me to repeat myself more and more. In between the punches you might have to do ten to twenty planks/pushups, and toe taps. For the cool down cycle we end the class with 10 to 20 sit-ups. We finish up the 60 minute class with group cheer “3-2-1, punch it out Parkinson’s”. If you’re thinking this sounds like a lot, well, it is. At the end of my first class, I was thinking there is no way I can keep up this pace. I have not done some of these stretch exercises since my days on the high school track team. But I knew I had to push myself and stick with the program if I was going to fight Parkinson’s. Now seventeen months later I am still working out at the Fit4Boxing Club, twice a week, sometimes three times, having fun and feeling better than I did before I was diagnosed with Parkinson’s. And yes, the whole exercise program got much easier to handle. It is still challenging but easier, and like I said I am feeling much better.